Bulldog Hiway Express is firmly focused on safety, customer service - Daseke Inc.
It’s no mystery what’s most important to Phil Byrd, president and chief executive officer of Bulldog Hiway Express. What’s also apparent is that those aren’t just words to Byrd. In several ways, he is quick to explain, the Charleston, S.C.-based flatbed and heavy-haul carrier is focusing on safety in every aspect of its operation. Bulldog Hiway Express has a safety record that speaks for itself. In 2015, the carrier had only two reportable accidents as its equipment traveled 11.6 million miles. Byrd also notes that Bulldog Hiway Express maintains what he calls “an impeccable CSA score” and that the company has been recognized for its safety efforts. 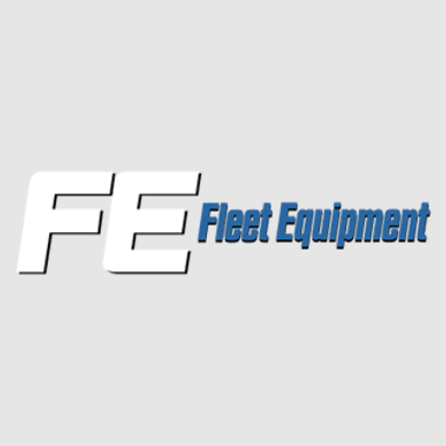 Included are the 2016 Fleet Safety Award and Fleet Safety Zero Accident Award from the Specialized Carriers and Rigging Association along with three Grand Safety Awards in South Carolina. 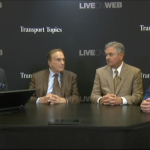 Currently, the company is in the running for several upcoming ATA safety recognitions. 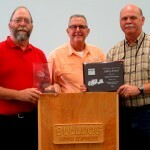 Always ready to give credit where it’s due, Byrd points to the Bulldog Hiway Express safety team led by Jerry Peterson, director of safety and training, along with Chris Blackwell and Bob Lewin. “One of the wisest decisions I’ve ever made was hiring Jerry Peterson,” Byrd says. “He came on board 20 years ago as a driver after a distinguished 22-year career in the U.S. Navy, and 16 years ago he left the driver’s seat to drive our safety program. For Byrd, another indicator of success at Bulldog Hiway Express is its low driver turnover rate of less than 10%. “The average tenure of a driver at our company is 15 years,” he reports, “and we believe that is the result of respecting and caring for our people and their families. For example, we include our drivers in key decision making processes for equipment, routes, customers and company policies. “We aggressively offer pay rates and incentives that help with driver retention,” Byrd continues. 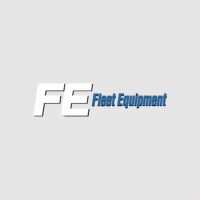 “Recently, we installed EpicVue in-cab satellite TV systems in every truck. It’s a great product that improves the quality of life for our drivers on the road. We also have Driver of the Month, Driver of the Quarter and Driver of the Year recognition programs, and a program that rewards drivers with points that can be used for a variety of prizes. Technology and safety also go hand-in-hand at Bulldog Hiway Express. For example, once a driver is hired, an extensive orientation program focused on safety utilizes the Smith System of defensive driving. Today as well, each truck in the fleet is equipped with Omnitracs on-board communications systems, which along with providing load and route information are used to monitor compliance with speed limits. “We’re as concerned about a truck traveling 45 miles per hour in a 35 MPH zone as we are about 75 in a 65,” Byrd says. In 1998, Bulldog Hiway Express was one of the first fleets in the country to automate driver logs. Today, it is also deriving other benefits from its use of Electronic Logging Devices (ELDs), a message that Byrd says the entire industry should hear. “ELDs provide for absolute and precise compliance,” Byrd says, “and for us it’s also meant an uptick in productivity. With paper logs you can’t always see the small time intervals of 15 minutes or so that might still be available under Hours of Service rules. In many cases, we’ve been able to use that time to ensure a delivery or pick-up is made, without ever risking being out of compliance. Today, operating throughout the U.S. and Canada, Bulldog Hiway Express handles heavy hauls, open deck and long and regional flatbed loads, as well as intermodal port deliveries. Its fleet includes about 200 International, Mack, Kenworth and Western Star power units along with 220 trailers ranging from standard flatbed and step-deck models to lowboys, container chassis and 13-axle units. Tractors at Bulldog Hiway Express spend four or five years in over-the-road service and then have second and third assignments in regional, short-haul and then intermodal drayage service. Every year, the company replaces 10 to 30 standard tractors and about five heavy-haul units. The Bulldog Hiway Express maintenance operation is a key part of ensuring both trouble-free operation and safety, Byrd points out. Maintenance, repairs and fabrication for the Bulldog Hiway Express fleet are handled at two in-house shops in Charleston, including a truck facility with seven technicians and a trailer and tire shop with another seven technicians. In Savannah, Ga., and Mobile, Ala., where the company domiciles equipment, and on the road, a combination of dealers, truckstops and local vendors are used. Behind the scenes in all aspects of its business, Bulldog Hiway Express collaborates with its sister Daseke-owned companies to share ideas and best practices. Byrd also works to improve the industry’s safety performance possible. 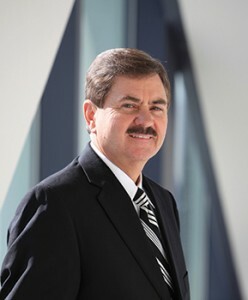 In 2014, he served as the 69th chairman of American Trucking Associations. He is also a two-time chairman of the South Carolina Trucking Association, and has served on the advisory board of American Transportation Research Institute and on the Truckload Carriers Association board of directors. 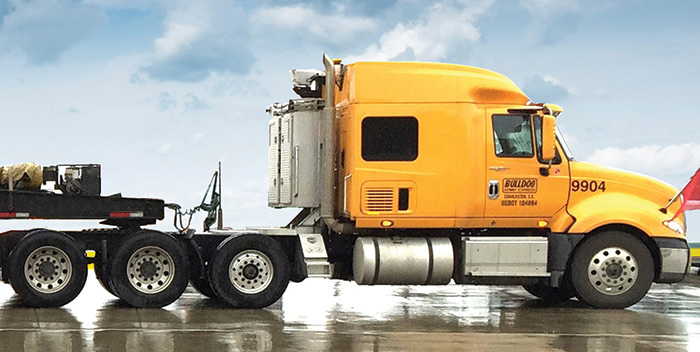 Bulldog Hiway Express is equally committed to providing unsurpassed customer service, something that is clearly reflected in its 98% on-time delivery rate and long-term contracts with some of North America’s largest shippers.